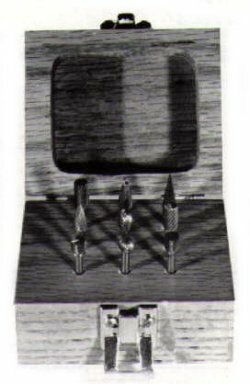 Our quality Carbide Burr Cutting Tool Set is made here in the USA and are used to remove unwanted edges from metals which is called deburring. We offer many different sized carbide burr cutting tools that are designed to shape, smooth and clean various types of materials. Carbide burrs and rotary files are used in various applications for deburring, cylinder head porting, mold making, tool and die, metalworking, tool grinding, foundry, aerospace, automotive, dental laboratory, wood carving, farriers, metal smithing, sculpting, welding, chamfering, jewelry manufacturing, die casting, and metal casting.